Want to look stylish while working out or going for a quick run? 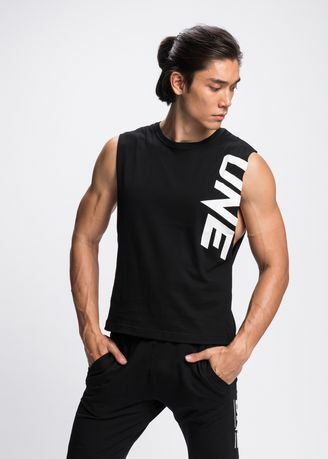 Then check out the official ONE Championship classic black tank top. This performance shirt is made of breathable cotton, and sports wide armholes to provide maximum comfort and mobility.